Politics of Togo takes place in a framework of a presidential republic, whereby the President of Togo is both head of state and head of government. Executive power is exercised by the government. Legislative power is vested in both the government and parliament. Since independence the party system is dominated by the authoritarian Rally for the Togolese People. Sylvanus Epiphanio Olympio was a Togolese politician who served as Prime Minister, and then President, of Togo from 1958 until his assassination in 1963. He came from the important Olympio family, which included his uncle Octaviano Olympio, one of the richest people in Togo in the early 1900s. After graduating from the London School of Economics, he worked for Unilever and became the general manager of the African operations of that company. After World War II, Olympio became prominent in efforts for independence of Togo and his party won the 1958 election making him the Prime Minister of the country. His power was further cemented when Togo achieved independence and he won the 1961 election making him the first President of Togo. 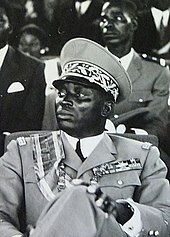 He was assassinated during the 1963 Togolese coup d'état. Faure Essozimna Gnassingbé Eyadéma is a Togolese politician who has been the President of Togo since 2005. 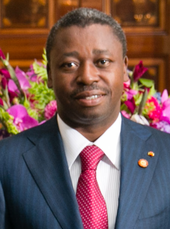 Before assuming the presidency, he was appointed by his father, President Gnassingbé Eyadéma, as Minister of Equipment, Mines, Posts, and Telecommunications, serving from 2003 to 2005. Presidential elections were held in Togo on 24 April 2005, following the death in office of long-time president Gnassingbé Eyadéma. The main candidates were Eyadéma's son, Faure Gnassingbé, and opposition leader Emmanuel Bob-Akitani. The elections and the preceding period were marked by violence, with many people reported killed in various incidents. According to the official results, Gnassingbé won the election, taking slightly more than 60% of the vote. Violence flared in the capital Lomé after the results were announced, and thousands fled into neighboring countries. The Union of Forces for Change is an opposition political party in Togo. The President of the UFC was Gilchrist Olympio and its Secretary-General was Jean-Pierre Fabre until 10 August 2010. 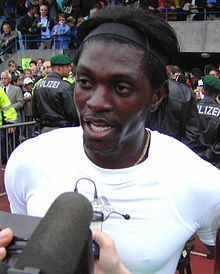 Olympio is the son of the first President of Togo, Sylvanus Olympio, who was assassinated in a 1963 coup. On 10 August 2010, Jean-Pierre Fabre was elected as President of the party. The strains in Ghana–Togo relations stretch back to pre-independence days. 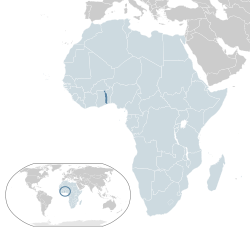 Presidential elections were held in Togo on 4 March 2010. Incumbent President Faure Gnassingbé—who won his first term in a presidential election that followed the death of his father, long-time President Gnassingbé Eyadema, in 2005—faced radical opposition candidate Jean-Pierre Fabre, the Secretary-General of the Union of the Forces of Change (UFC), as well as several minor opposition candidates. 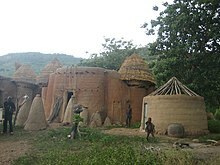 Protests against Faure Gnassingbé have occurred throughout Togo starting when Faure Gnassingbé assumed power after the death of his father Gnassingbé Eyadéma in February 2005.